I have been an active user of social media in my classroom programme for nearly 10 years, or maybe longer. Although it has evolved over the years the initial premise is still there. The ability to connect with learners and educators outside of my classroom, my area, my city and my country…the world as they say is your oyster. As Whitby stated in Connected Educators (2013) ‘We have to realize that as educators we’re always telling our students to be lifelong learners, well, education doesn't stop when you get your teacher’s license. You have to be a life-long learner” (4.12). Obviously as an early adopter I had to learn myself before I took it into the classroom so my learning started online. Enter my learning network of folk on Twitter. Through my life on Twitter I have gained close contact with a number of educators from around the world and this was invaluable in supporting my set-up of class-blogs safely (so locating other blogs was selected by me not by student accidental clicking – top bar removable was a must for the class blog set-up). Being able to access educational gurus knowledge and expertise in certain areas saved me hours of work and reinvention of the proverbial wheel. Melhuish (2013) pointed out that “The privileging of the individual voice saw a shift in the locus of control, from ‘expert-driven’ learning modes to a more collaborative, participatory model” (p.40) this is how the advent of using social networking in the classroom has evolved an moved. EdChatNZ has been my most resent collaboration tool over the last few years. As Melhuish (2013) quoted “While collaboration and networking do not, of themselves, enhance professional practice, they can be precursors for meaningful dialogue to occur (Bolstad, Gilbert, McDowall, Bull, Boyd & Hipkins, 2012; Timperley et al., 2007) and EdChatNZ is this to an absolute T! Conversation every fortnight with like minded and passionate educators is interesting from many perspectives and often a source of on the spot PD as well. Our class blog has been utilized for a number of years (although a name change has been incurred due to school movement). This particular social media has worked very well with the class although I haven’t ventured into children having their own personal blogs yet due to lack of technology here and the class enjoys sharing their own posts. It has also become a great source of history over the years and the ability to show past examples is a real lifesaver sometimes. For example, the years of posts on the NZ Post MailBox designs has been great to demonstrate and see past successes. The blog has almost become an archive of my teaching career in some ways. The ability to communicate and collaborate with other schools is educational on so many levels. The rise of QuadBlogging has been an invaluable and rich experience for the children and my classes have enjoyed this practice over a number of years within NZ and then QuadBlogging in the wider world. The beauty of blogging is also the ability to approve or deny comments, this outwits the phishers and trolls that are around. I have a class twitter account for numerous years. This has allowed children to access experts and other classes in other lands. This has been less successful on the class front, again due to lack of technology in the classroom, and really only gets used when we have something to comment on, a particular person we need to speak to or something exciting has happened. I would love to use it more frequently with the children. Using ‘fake’ tweets has been great at inspiring the reluctant writer too. The limitation of 140-character writing is always a fun writing exercise – can you write a short story using only 140 characters? Hopefully with the onset of possible BYOD next year in my class and another class we will support the twittersphere will become a much higher success rate and utilized in an improved and productive manner. Joosten (2013) stated we should “engage students through rich current media” (s.25). With the evolution of the internet, rich media and other apps and products out there we have over the years utilized other aspects of social networks. Google hangouts and skype have been invaluable to connect and chat to and SEE classes in other countries – the time difference can always be a problem but this has been invaluable for children learning about others and how education changes from country to country. Instant gratification is the name of the game – such an improvement on the old pen pal letter. Instagram has been a great introduction to the class and they LOVE adding pictures on almost a daily basis (cheesyclass), the Daily Ducky is their most loved posting each day. It’s allowed us to keep in contact with students who have moved down the line and see how they are progressing. It also recently became a great reminder/learning tool for discussing cyber bullying when another group of students were writing nasty comments about another student – great digital citizenship reminder. Our Class YouTube channel and our School YouTube channel has been a roaring success also. I particularly like to ability to approve or deny comment postings but the public – keeping the riffraff to a minimum. The students love sharing their videos and relatives aboard have enjoyed this aspect as well as the blog. Again sharing across the world is invaluable learning experiences. 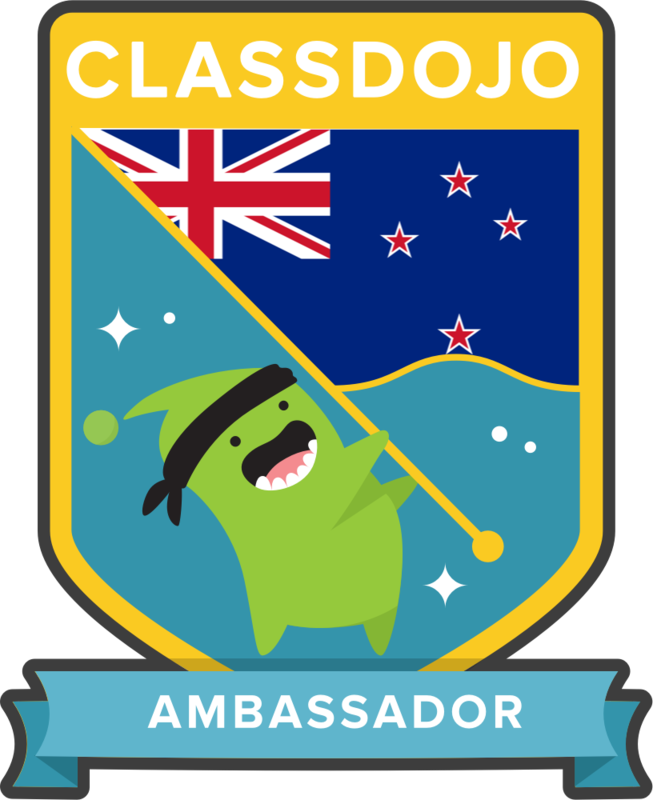 A current favourite connection, which has been invaluable for students, teachers and parents, has been using Class Dojo in school. Their new element of adding student stories, class story and class video has been an absolute hit with all concerned. Parents are loving the snippets of connectivity about what children are doing at school, students are loving sharing their photos of what accomplishments and work they are doing at school – it’s easy it’s monitored and it’s a safe environment. Again, this will be better utilized with more devices in class but having some devices connected is a fun way for children to share their learning. It’s been great for school wide communications and I haven’t had anything but positive feedback from parents that can keep up-to-date with the school/class/student goings on right from their phones – anytime, anyplace, anywhere! Social Networking in the classroom has made the world accessible from the classroom. It has opened my students up to a world of possibilities and wealth of instant information. It has made learning fun and appropriate to my learners who are digitally connected at home, why would I get them to disconnect and write everything with pens and paper? This is their world and we as educators in the 21st Century have to embrace it, with all the challenges it entails but also the endless possibilities it also offers. Melhuish, K. (2013). Online social networking and its impact on New Zealand educators’ professional learning. Office of Ed Tech. (2013). Connected Educators. Great post, I did social media as well, but looking at the potential pitfalls more. I would love to find out more about keeping a class Twitter account, it might be quite goo fun for my students to use Twitter educationally. Oh, OK, and also Instagram. How do you deal with the privacy issues etc? My students in a previous school used Google+ to post about their work, but we had quite a good set up with Hapara Teacher Dashboard in place. Catch up with you online somewhere soon, seeing as we nealry get our lives back! Yr13's would definitely HATE anything being shared with parents - it's the teenage thing, my children are still young enough to WANT to share with family and they choose what they share as well, it's not my choice, i just approve it before it goes! Great post Claire. No matter what platform we choose as educators we have to be actively involved in its usage. Your recurring theme of testing systems then using them is also backed up by the constant discussion with children and parents about good digital citizenship. I get the feeling that there is always a fine line for us between using "Real-deal" social media which is what the kids want and using educational "safe" replicars. Often the versions we find for classroom use are so safe they fail to get any audience or they are of no interest to the kids. Hi, I loved your blog, I cannot believe it is over ten years that social media has been at the forefront of society, how time flies. I guess when I reflect back I have been using social media for that long too but didn't realise for how long! I like how in your post your were not afraid of using social media but you gained the knowledge before using it in the classroom. I originally was one of those reluctant users of social media, I think it was because first I was teaching in a college with lots of adolescents which to me was stepping into a mind field, then I was teaching juniors who I wanted to 'protect' from the harmful effects of social media. However like everybody I began to realise that social media is all around us and it is now the way of quick communication between groups of people. Thank goodness for Dojo, what an amazing tool my little juniors love it and so do the parents, in fact this method of communicating is used more that the school e mail between myself and the parents. Hi Karen Reed+ thanks so much for the comment. It is a minefield! And it is really quiet scary to think of how long social media has been around - [makes me feel pretty old]. Nice to hear others are using and loving Dojo too. Their Mindset series and new Empathy series are awesome too - love showing those to classes.